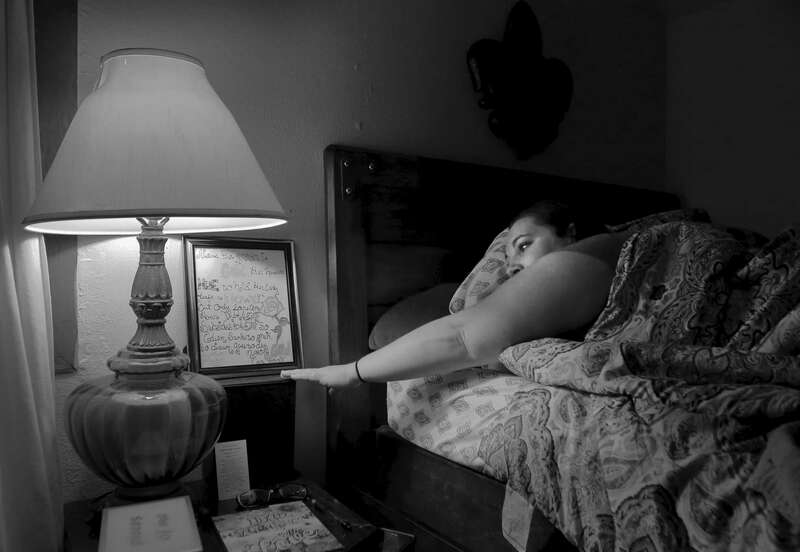 After kissing the tips of her fingers Vanessa Riley reaches out to touch the box containing the ashes Dante Bonzano, father to her three children, as she goes to bed for the night at her home in south St. Louis on Thursday, April 6, 2017. Riley keeps the ashes on her nightstand next to a box of his personal items because she says she hasn't gotten used to the idea he's gone. Bonzano had been on Vivitrol to help him control his addiction to heroin. He died on February 8, 2017 of an apparent overdose. In 2016 273 city residents last year, more than double the previous year, died of fatal opioid overdoses. Heroin is being cut with fentanyl to increase the high but the fentanyl is so powerful it leading to a sharp increase in deaths from overdoses.